Like any major city, our nation’s capital has no shortage of restaurants. It’s always a challenge to go through a variety of lists, from Trip Advisor to Open Table to Yelp, trying to find the handful of restaurants that will take our vacation to the next level. In my experience, I’ve found that many websites with reviews can really be tricky. A person that gets one bad dish may give a restaurant 1 star. Someone who loves Burger King can give it 5 stars. So how do you know which reviews are real and which ones have an agenda? You don’t. You have to read…and sometimes read a lot of them…before you can make a decision. 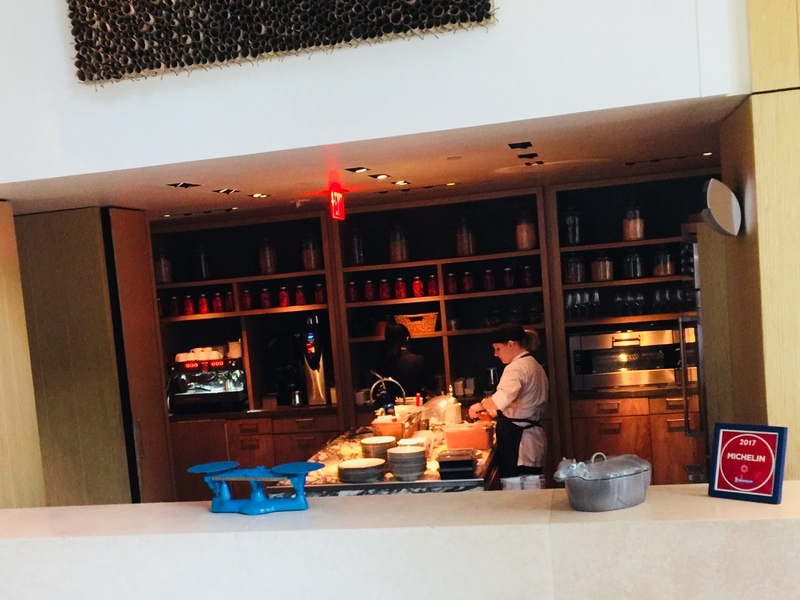 Of course, when I’m talking about restaurants, I’m not talking about where to get a breakfast sandwich–although I will have that for you in this blog as well. I’m talking about a true dining experience, something that might cost you a lot of bucks but will give you happy, lasting memories. 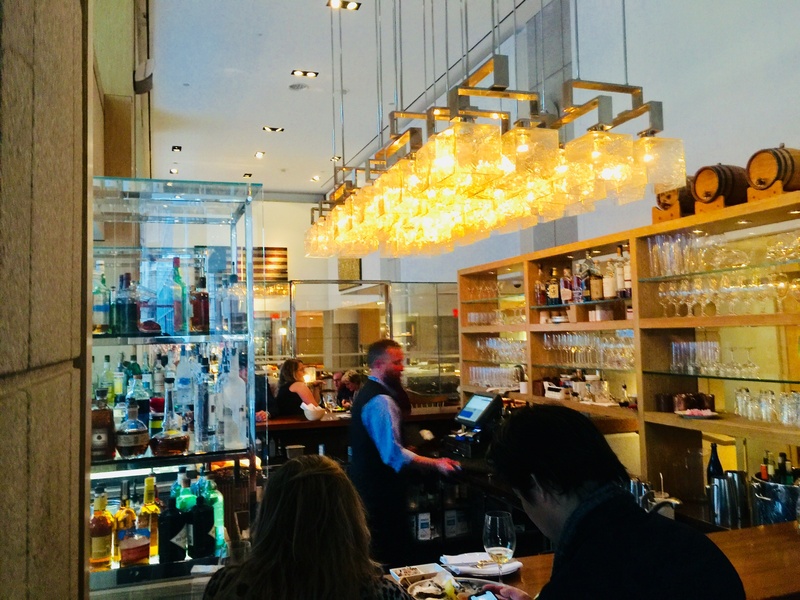 We had 8 dinners in Washington DC, and because we arrived late on a Friday night, we decided to go to the restaurant located at our own hotel, the Westin in Georgetown. The house restaurant is called the Caucus Room, and being a hotel restaurant, we weren’t expecting amazing food, but we were expecting some food. 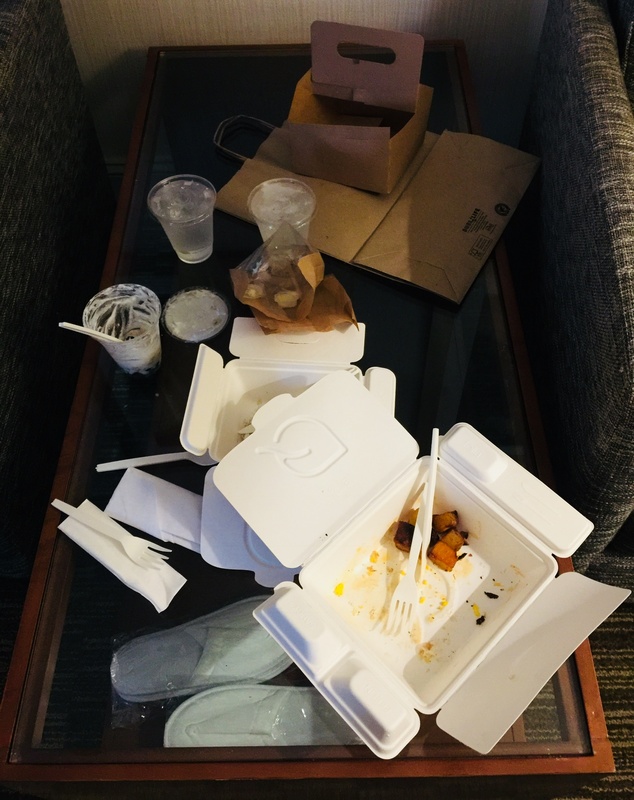 A week earlier, we made a reservation for dinner at 8:15PM, and when we arrived, the place was empty except for one server who was cleaning up, the strong smell of ammonia in the air. We never got a call that our reservation was cancelled. Just an empty “sorry” from the server before he went back to wiping tables. Room service at the Westin Georgetown. Saving ourselves for a Saturday morning brunch our first morning, we were off to explore the city, with a stop at the Navy Yard, where the huge amount of new construction reminded us of Boston’s waterfront: massive apartment complexes, beautiful walkways by the water, and many restaurants to feed those moving into a very dog-friendly neighborhood. 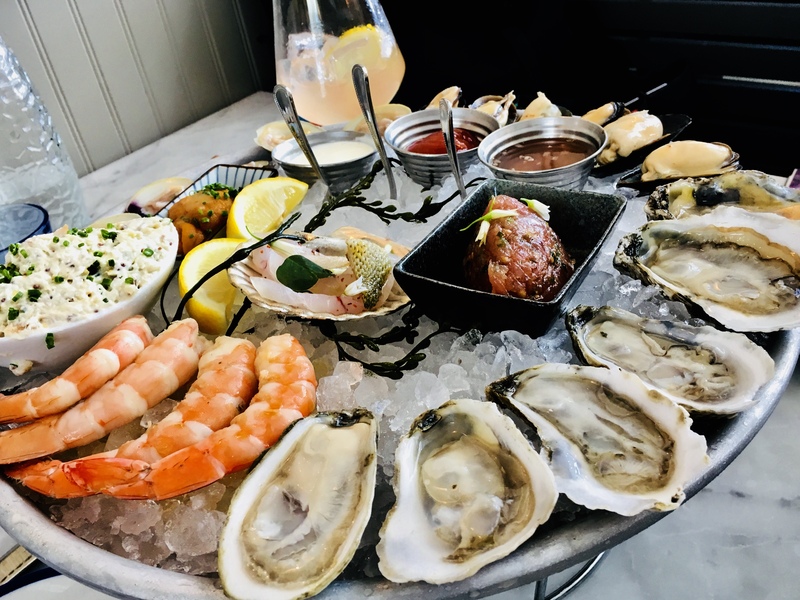 Recommended by our friend, Sal Liotta, the owner of the Back Eddy restaurant in Westport, Massachusetts, we made reservations for brunch at Waley’s in the Yard, as they call it, and we were not disappointed. My daughter went for the straightforward order of pancakes (though she said they were the best she ever had), but my wife and I shared a beautiful seafood tower (with cocktails, of course.) Excellent food, excellent service, friendly staff, excellent first meal of the day: a solid 5 out of 5. The fabulous seafood tower for 2 at Waley’s. Fiola Mare: Chef Fabio Trabocchi is a big player in the DC restaurant scene, owner of a half a dozen restaurants. 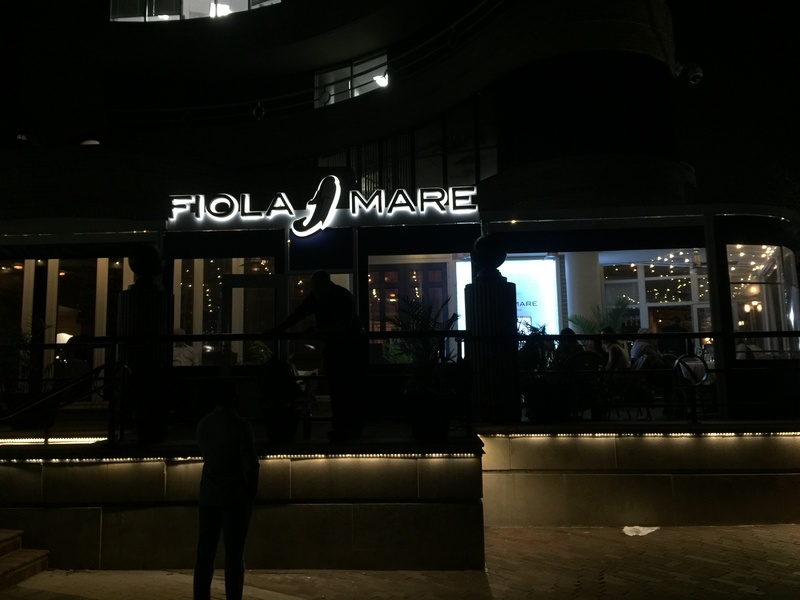 We chose Fiola Mare because of its location on the water in Georgetown, and its seafood menu. The food didn’t disappoint, but the service was something out of a bad comedy. To our waiter, Miguel (who looked more like a Mikey), every dish we asked about was “fabulous” or “dazzling.” My wife was handed the wine list and three separate sommeliers swooped down on her within five minutes, asking if she needed help. She barely had time to turn the first page. 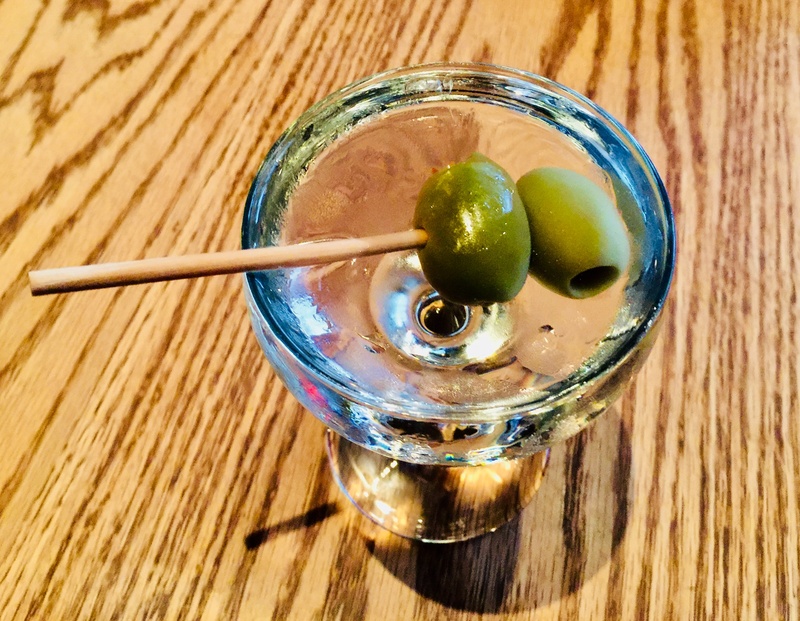 I saw my favorite vodka, Stoli elit, on the menu, but at $26 for a martini (in a very small glass, I might add) I settled for Belvedere at $16. I also ordered 2 Manhattans. The first one arrived perfectly poured. The second one looked and tasted like they left out the vermouth. The lack of consistency with bar drinks would become my number one pet peeve on this trip. 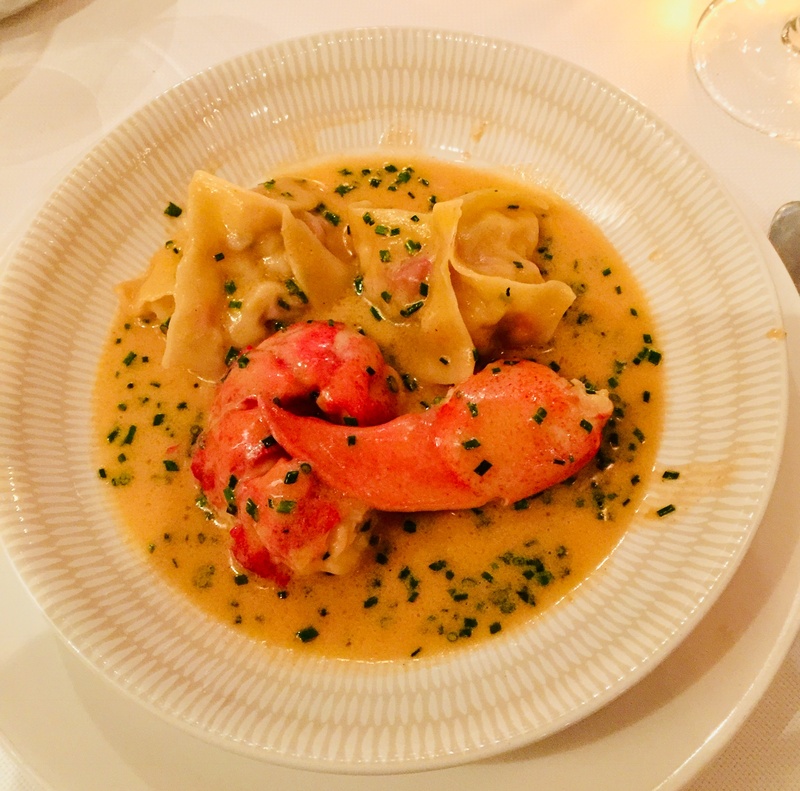 A rich and delicious half-portion of the lobster ravioli at Fiola Mare. So the food was excellent, but the service a laugh. And they did everything they could to rush us through our meal. We spotted that nonsense a mile away and let them know we’d be sticking around for a while. A very noisy atmosphere, but the food made us happy. Expensive. I give this Trabocchi cash cow 3 out of 5. We had our disastrous room service food the next morning (as mentioned above), so after that we searched the neighborhood for local breakfast joints. There were three: the Uptowner Cafe, located directly across the street from the Westin hotel (meh)…the Fabulous Market and Cafe walking toward the Foggy Bottom Metro station (also meh)…and Aroma Cafe, a small sandwich shop on 24th between the other two, run by a lovely Asian couple that became our buddies for a few days. Fresh sandwiches, good coffee. Nothing crazy, but just what you want: a fresh bite of food before you get on the train and start your day. Thumbs up to Aroma Cafe. Crudo and lamb ribs at Tail Up Goat. 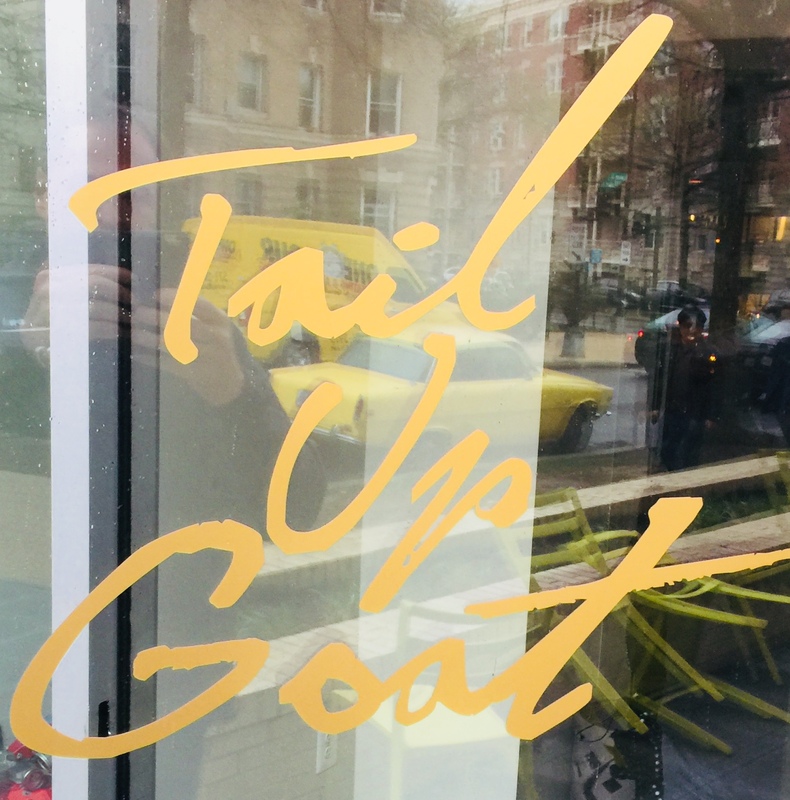 A small, neighborhood eatery with loyal local customers, Tail Up Goat was fun, bright, and eclectic. Cocktails were again served in tiny glasses, but the food was interesting and challenging in a good way: bold flavors and spices on our lamb ribs with yogurt-za’atar onions on the side. The biggest negative was an extremely small menu. Two of the three main courses offered were for two people, so if you were dining alone, that gave you only one choice. 3 out of 5. They put the “tini” in martini at Tail Up Goat. 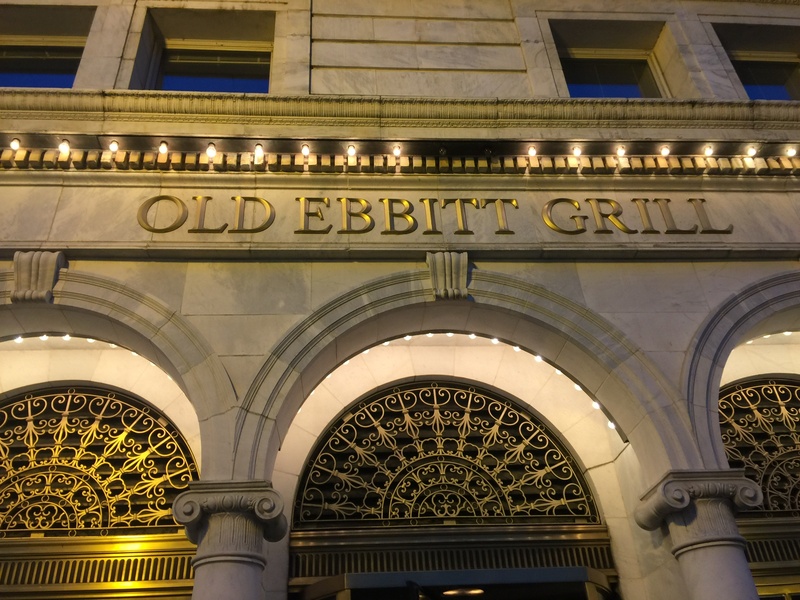 We decided to go old school for dinner the next night, and by the recommendations of several friends, we dined at the very crowded, loud, and tourist-trappy Old Ebbitt Grill. 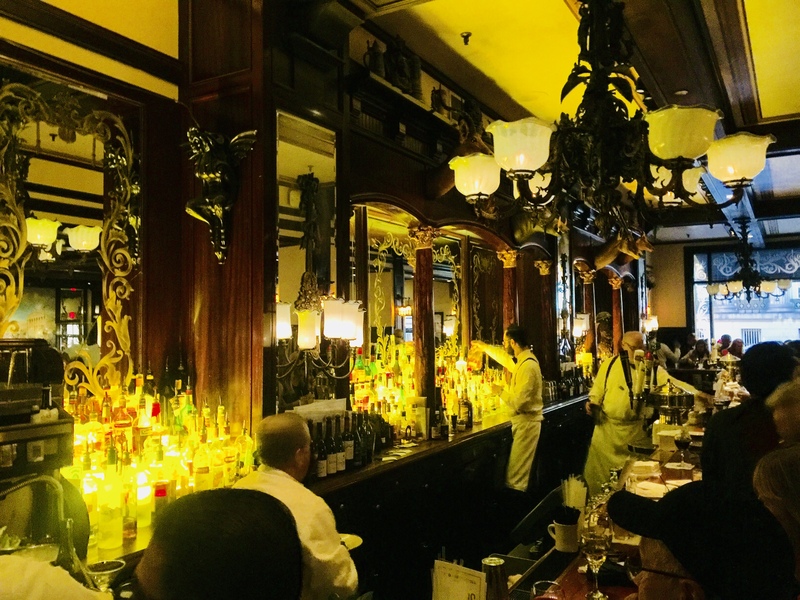 Although the website talks a lot about the restaurant’s history dating back to 1856, and although the interior looks like a very cool old historic saloon, the fact of the matter is the Old Ebbitt Grill has only been in its current location since the 1980’s. So much for history! But…the food was solid…straightforward roasted chicken, beef, pasta and sides. (Sadly, though, not one really good steak is offered on the menu.) 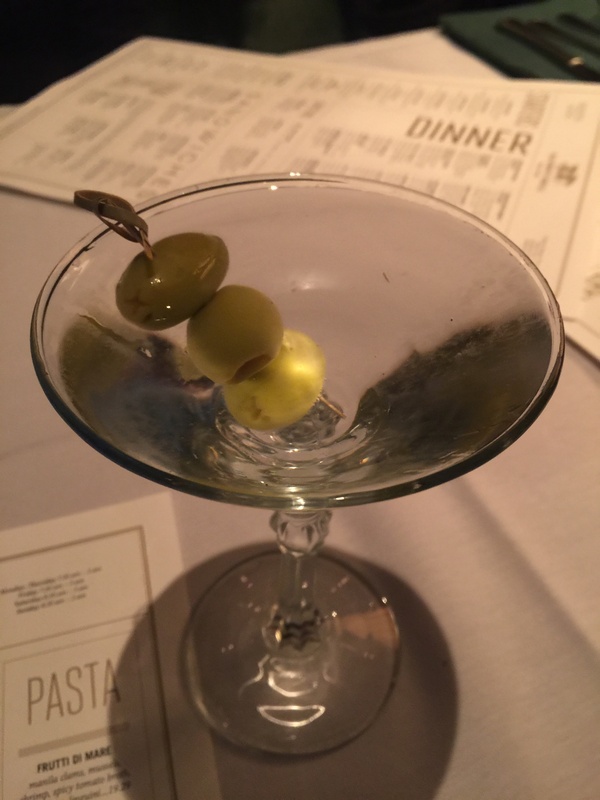 However, I did finally get my first REAL martini of our trip! A real martini filled to the brim at the Old Ebbitt Grill. 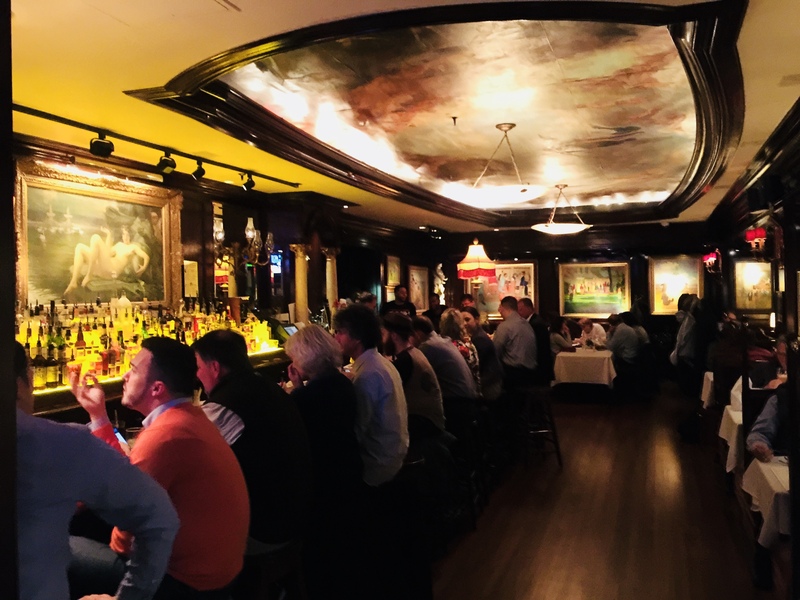 I give the Old Ebbitt Grill a 3.5 out of 5. We had our most disastrous dining experience the following night. 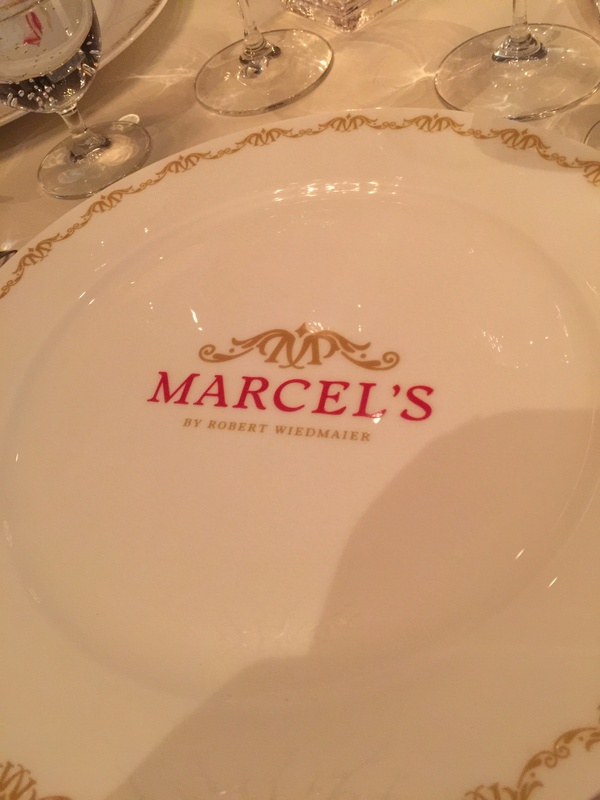 Originally reserving a table at Le Diplomate, we made a last-minute change to dine at the highly rated Marcel’s by Robert Weidmaier. Expensive, snooty, and dripping with attitude. There are very few restaurants where we’ve actually felt compelled to return a dish because it was so badly prepared. But my boneless quail didn’t look or taste like quail. In fact, the sausage-like roll they plated could have been any meat. And it was extremely salty. So…we had to say something and return the dish. 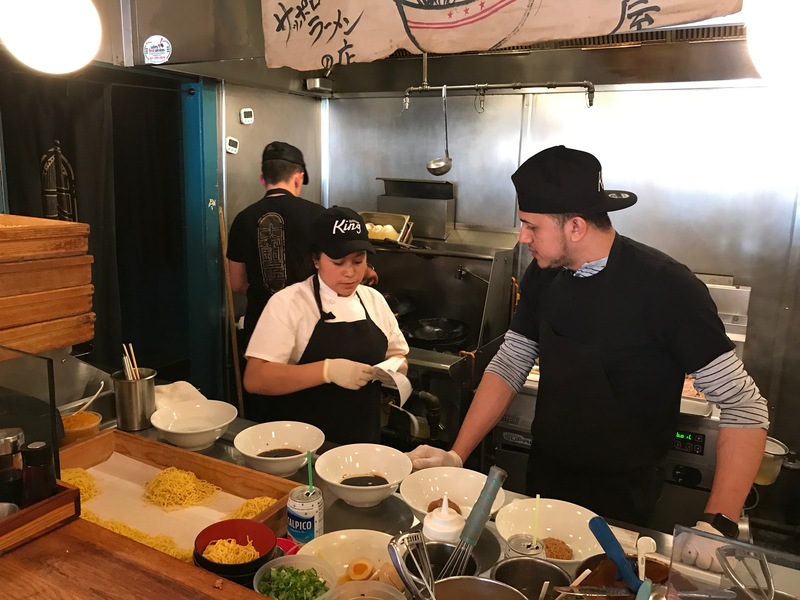 Once we did that, our server took the plate away and didn’t come back–not to see if perhaps we’d like to try another dish, or if there was anything else he could do to make our experience better. No…he didn’t come back at all. Once we complained about the food, we were put on the proverbial sh*# list, and no one returned to our table until dessert was served. (We had ordered that in the beginning, so no contact needed to be made.) Only when my wife asked is she could have some tea did our server turn to me and ask if I’d like something to drink as well. 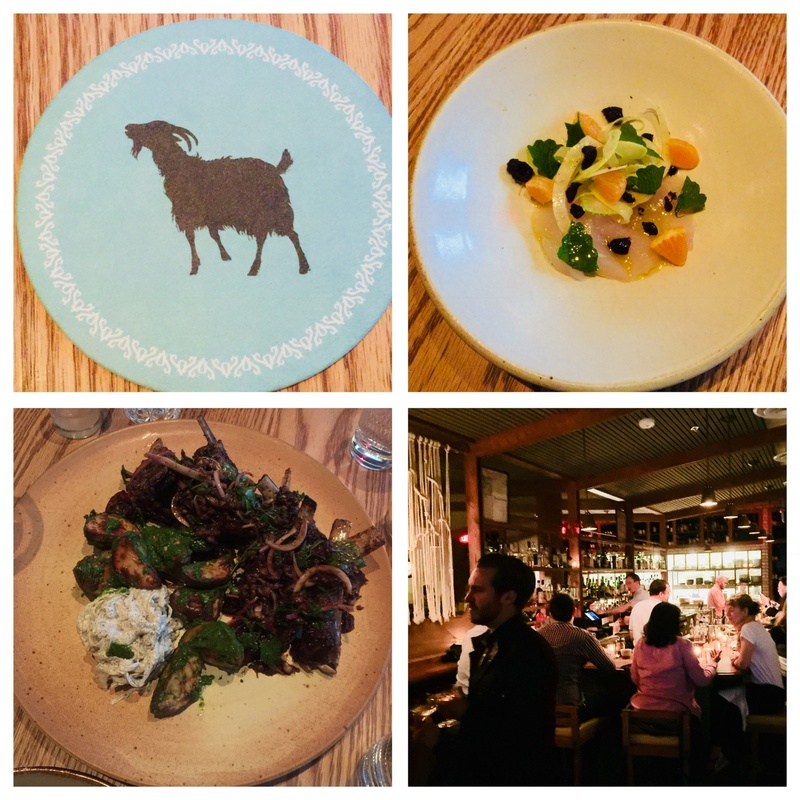 From the sommelier that kept telling my wife all of her wine choices were “dead,” to an expensive and very tough veal chop, to a fishy scallop plate and a disappointing foie gras appetizer, we stared at each other in total disbelief. How could this restaurant get such great reviews? If they were having a bad night, they were having a really bad night. And sadly, that meant so were we. A very expensive bad night. I really want to give zero out of 5. On the menu at the Blue Duck Tavern. Thank goodness we had what was probably our best dining experience the next night, at Michelin-star rated Blue Duck Tavern. 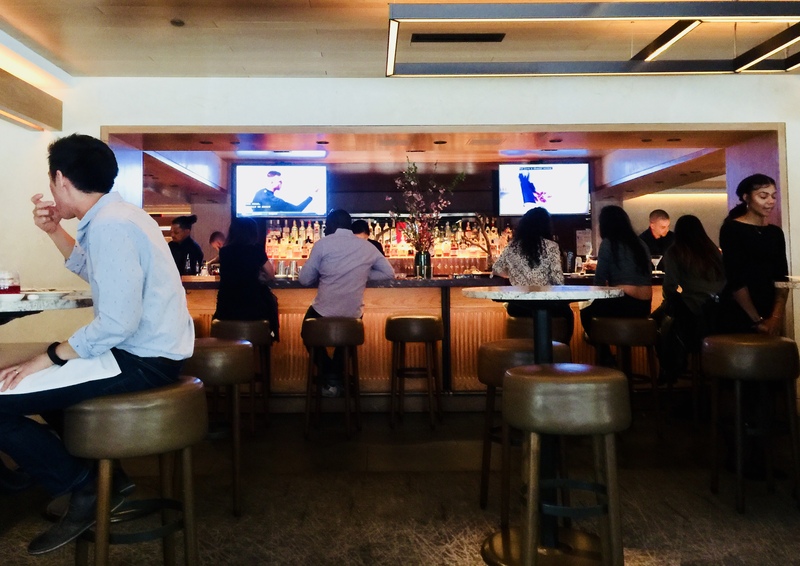 Located in the Hyatt hotel that is literally across the street from our Westin hotel, the Blue Duck Tavern is huge, gorgeous, full of space and light, with a professional staff and knock-your-socks-off food. The place was packed on a Wednesday night, and we were given a table right in the center of the party. Unfortunately, we struggled to hear each other and asked to be moved to a quieter table. They did so without hesitation and without attitude. 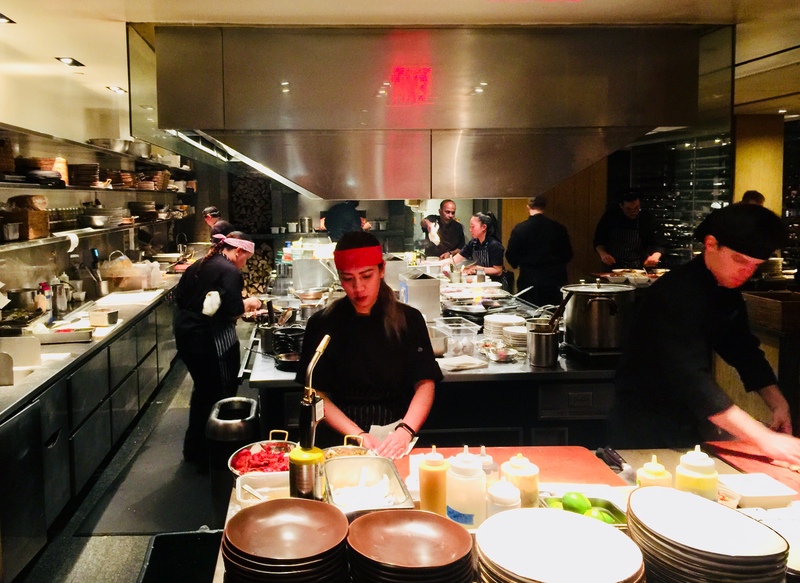 Our server, Frank, was the pro you hope for when you come to a restaurant like this: knowledgeable about the entire menu, eager to recommend when asked, and offering tons of useful information to food fanatics like ourselves. He even gave us a tour of the restaurant and kitchen after we placed our order. This dude knew what we wanted! Bone marrow with a pretzel crumble. OMG. The foie gras creme brulee was an absolute knockout. 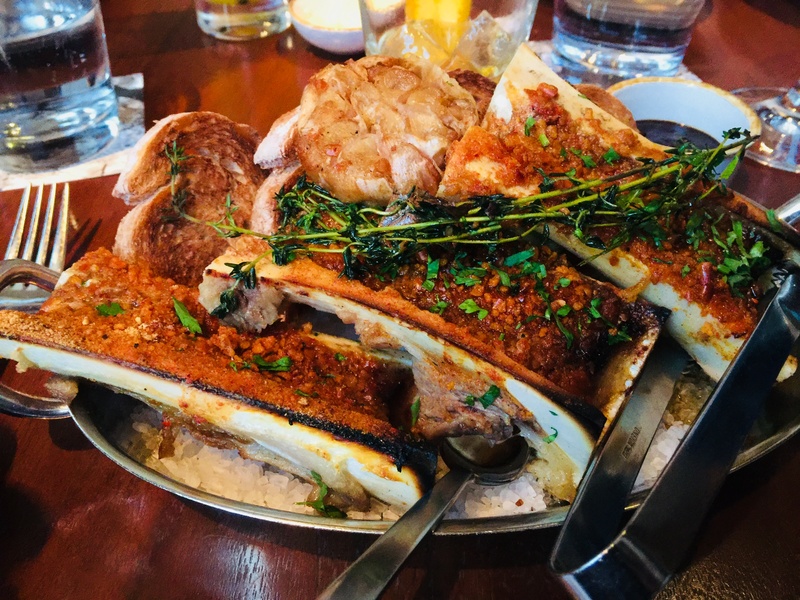 The bone marrow with pretzel crumble was without a doubt the best I’ve ever had, and I’m a bone marrow freak. I have been spoiled for life. Of course, if you come to a place called the Blue Duck Tavern, you must have the Moulard duck breast…fabulous. 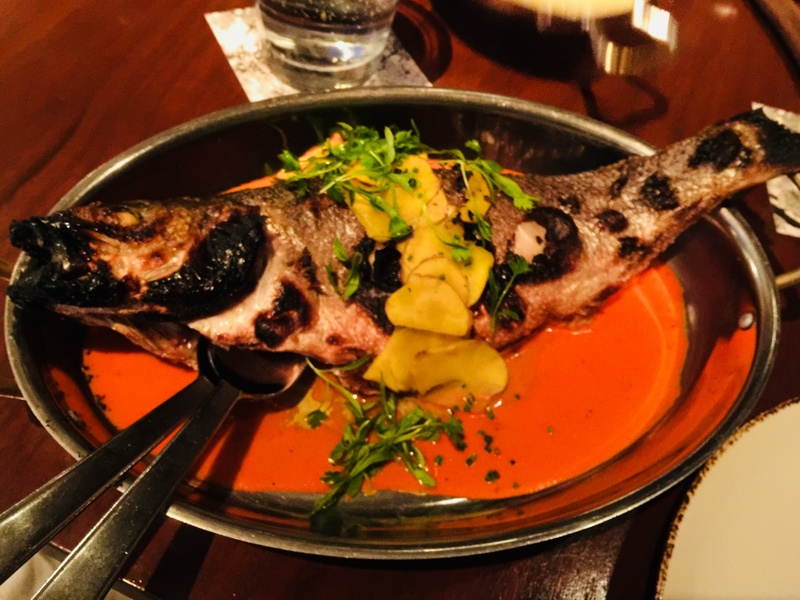 And my wood oven roasted whole branzino in a sunchoke romesco sauce, all 1 1/2 pounds of it, was devoured by yours truly with only bones to show for it. My usually picky daughter had a feast with the charcuterie and cheese plate followed by a plate of rich ricotta gnudi. Wood fire roasted whole branzino. A great wine selection, wonderful house cocktails, assistance without attitude…it’s everything you want in a fine dining experience. I can’t give them another Michelin star, but I give the Blue Duck Tavern a solid 5 out of 5. 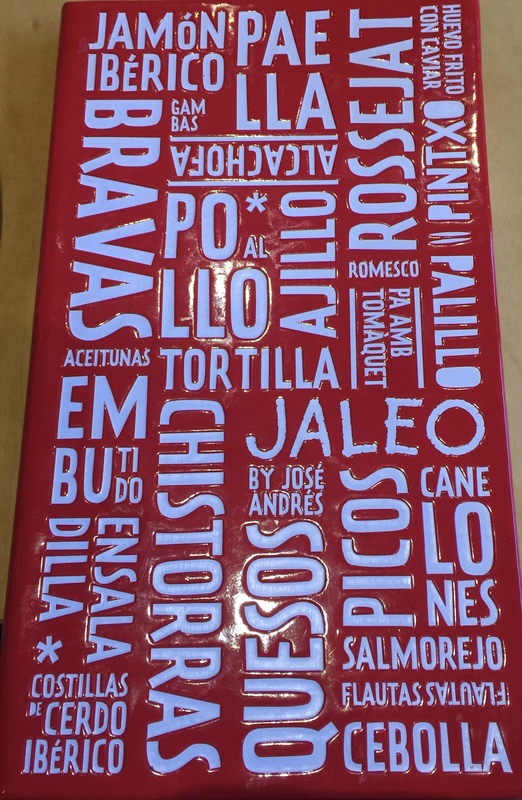 Washington DC is chef Jose Andres’ playground. 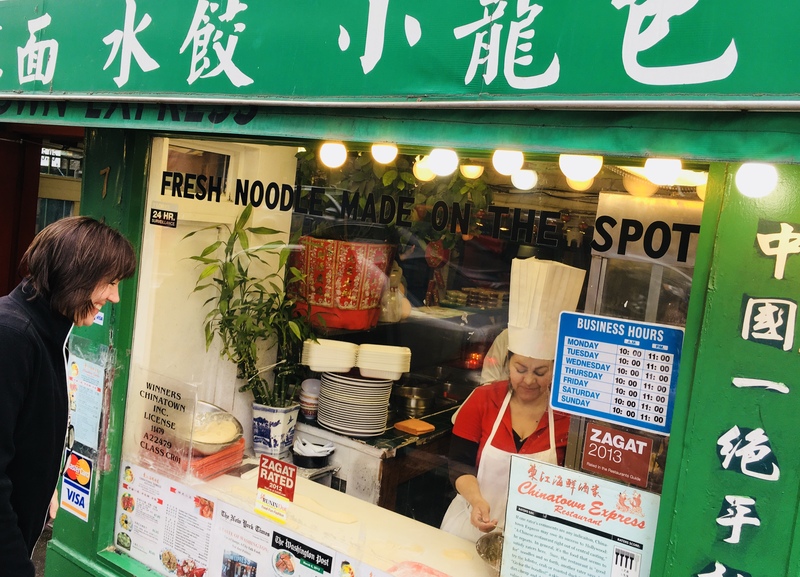 Sure, he’s got restaurants all over the country, but he’s got a dozen of them in DC, all very different from one another. 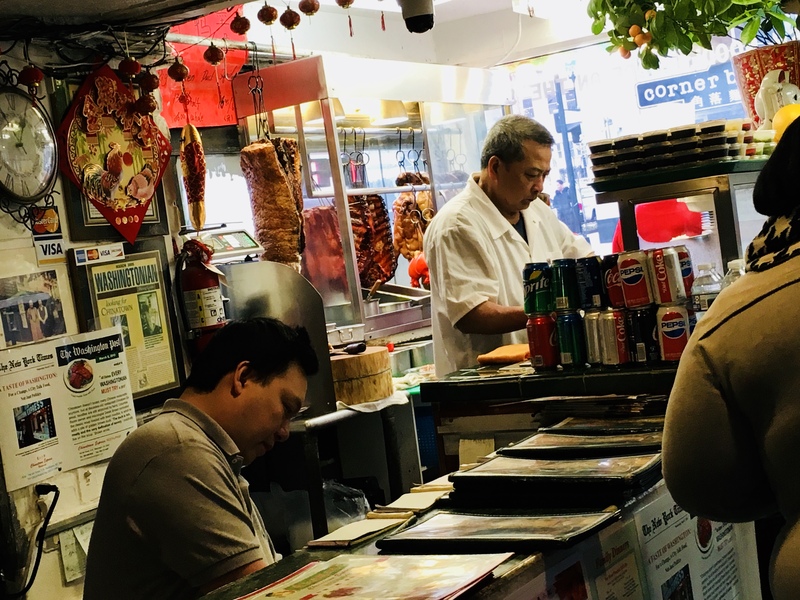 There’s his Michelin-star rated Mini-Bar, Peruvian with Asian and Spanish accents at China Chilcano, heavy-duty Eastern Mediterranean at Zaytinya, and more. I opted for his straightforward Spanish tapas restaurant called Jaleo. We were in Madrid just a few years ago and we loved everything we ate. We were hoping to rekindle some of that “foodie love” and Chef Andres did not disappoint! Jaleo is a lot of fun. 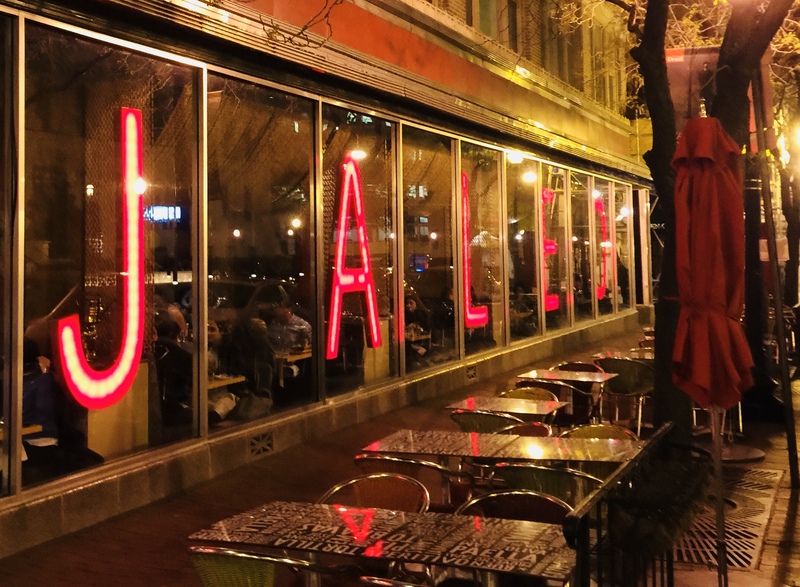 It’s loud in many ways: the crowd, the crazy, bright colors and architecture, and the bold flavors on the menu. This is a place you bring your friends. Small plates mean you can share or not…but you can try many, many dishes and flavors all night long. 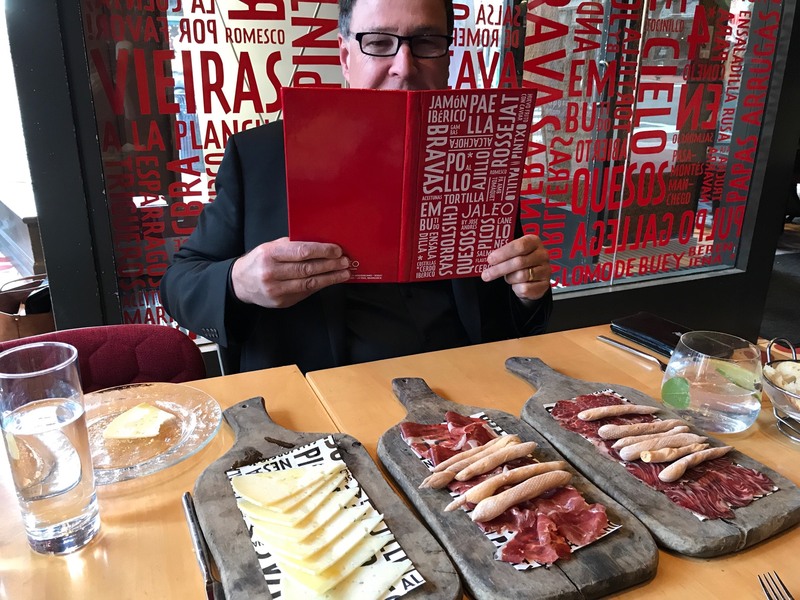 We devoured plates of jamon Iberico with Manchego cheese, as well as a salami made with the same jamon. Two types of calamari: fried in olive oil and garlic, and sauteed with white beans. Crazy “liquid olives” inspired by legendary chef Ferran Adria. Grilled asparagus. Chicken fritters. Shrimp fried in olive oil and garlic. Grilled quail with a rosemary sauce (done perfectly–are you listening, Marcel’s?) And an Iberico tenderloin with blue cheese sauce. Yes…we ate it ALL. The Iberico ham, salami, and manchego cheese. We love Spanish wines from Rioja, which made it an easy choice at Jaleo. And I went over the top with the best gin and tonics I’ve ever had. I will never drink it any other way than Jose’s Choice: Hendrick’s Gin, Fever Tree tonic, lime and lemon, juniper berries, and a verbena leaf. 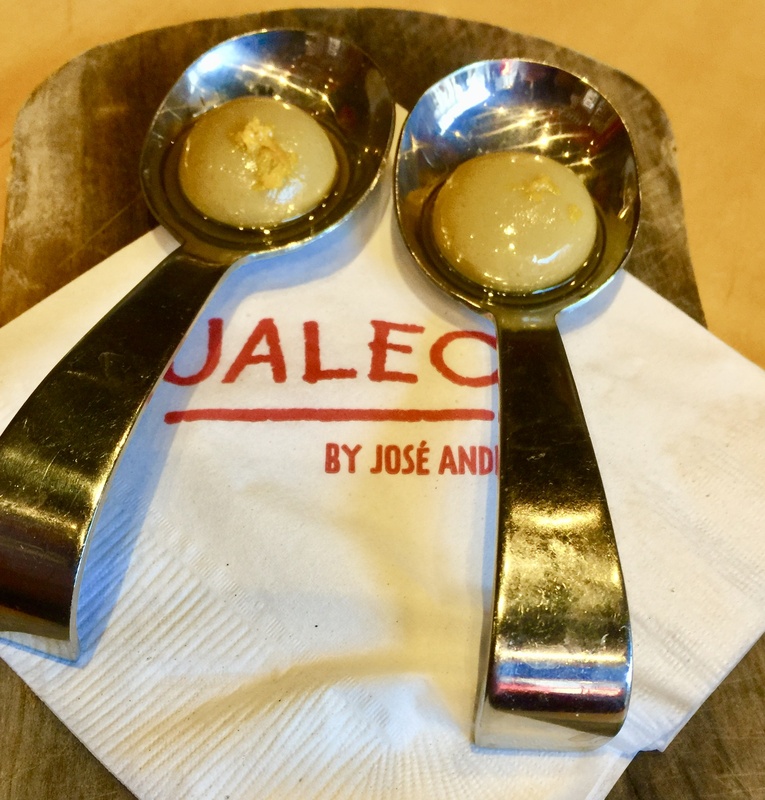 Jaleo gets a 5 out of 5 for sheer fun, great food and atmosphere, super-casual. Out last dinner was right before we hopped on our plane homeward. We had a late flight, so we stopped by Nobu, which happened to be just a block from our hotel, for their Friday happy hour. 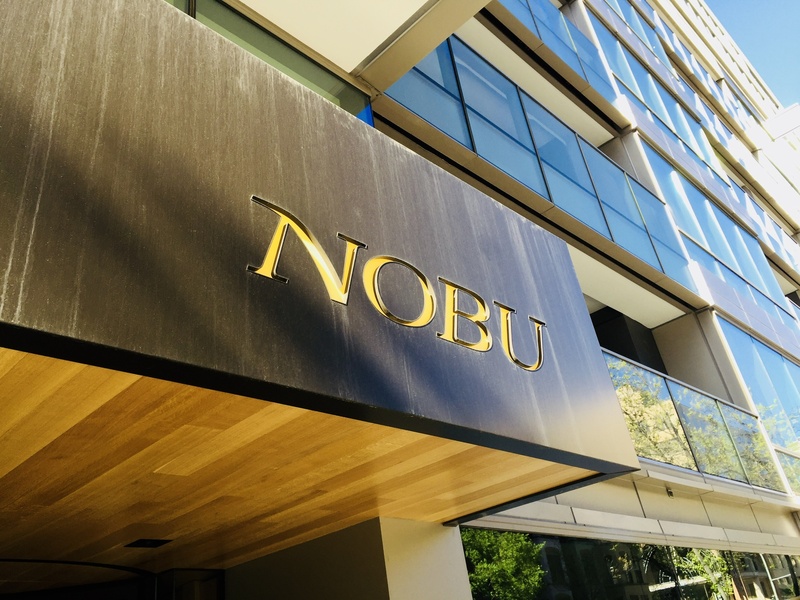 This location was the newest in the vast Nobu empire, and the space was huge, clean, modern, classy. It was a good time to go: though the menu was small, there were plenty of tasty bites to choose from, including a Wagyu beef dumpling with foie gras. We were even able to choose a dish or two from the main menu. Tasty food beautifully prepared, and a perfect non-bloating dinner before getting on a plane. Of course, we had more than just dinners in Washington, DC. Twice we dined in museum cafeterias. Both times, the food was mediocre at best…but we weren’t expecting much more than that at a museum anyway. Once we dined from a food truck. OK food, too. We were craving Chinese food, so I did a little research and found a place called Chinatown Express. Although the name wasn’t inspiring (think Panda Express–gack!) the food was excellent. 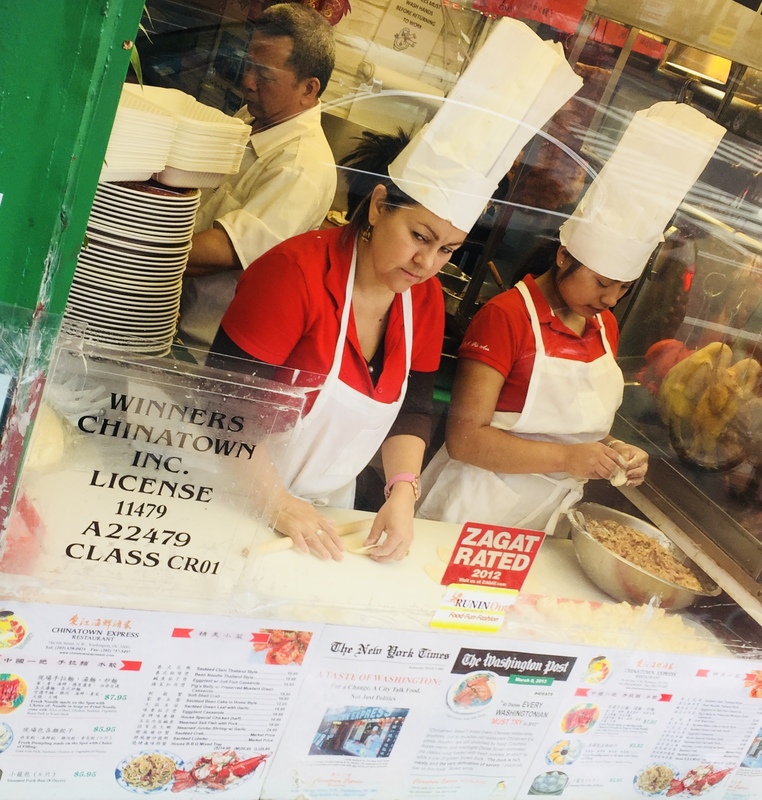 When we saw the lovely ladies making dumplings by hand in the front window (“on the spot,” as the sign says), we knew it was the perfect authentic Chinese restaurant we were looking for. 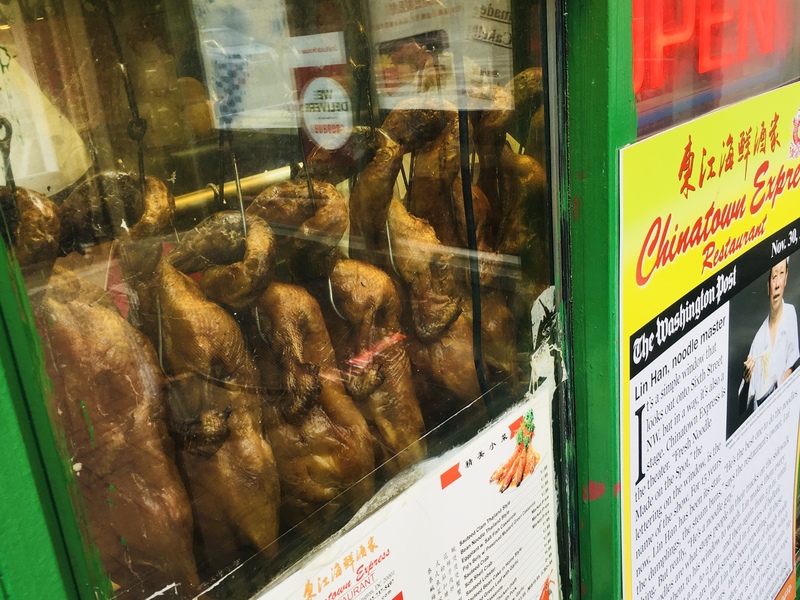 We feasted on roasted duck, fried and steamed dumplings, chicken fried rice, wonton soup, and lots more. 4 out of 5 for authenticity. 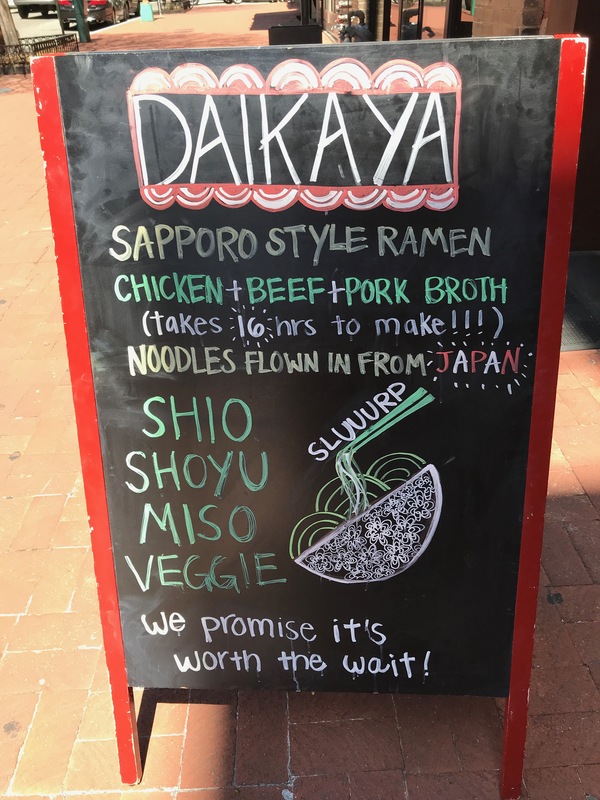 Just a few doors down, on a day when my daughter and I had lunch at the Hard Rock Cafe, my wife returned to 6th Street to slurp down ramen noodles at Daikaya. She said it was so good, she’s been spoiled for life. Walk in for the ramen, or go to their restaurant for everything but the ramen. And yes, they fly in their noodles from Japan every day! 5 out of 5 for the ramen. And speaking of the Hard Rock Cafe, I’ve created a monster. 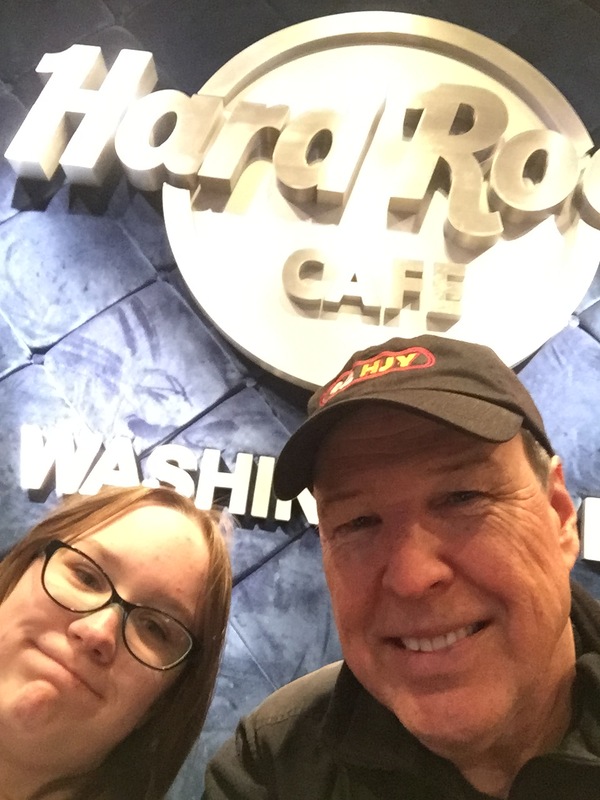 I took my daughter to her first Hard Rock last year, when we went to Universal Studios in Orlando. Since then, the big question wherever we went was: “Is there a Hard Rock here, Dad?” So this one was her fourth. She’s also been to the Hard Rock in the Cayman Islands and the one in New York City, which is located in Times Square (but the original was on West 57th.) The food at every Hard Rock is the same, so no review for that. It’s what you’d expect. But we always tour the entire restaurant after our meal, talking about music, bands and videos. It’s one of the few times that Dad, being the rock jock full of information for almost 4 decades, is actually cool. One last note on inconsistent drinks: I mentioned earlier that it’s a pet peeve of mine that was tested several times during our vacation. Our Westin hotel didn’t even have a lobby big enough for a bar, so a couple of nights we went across the street to the Fairmont hotel, which had a large, spacious lobby and plenty of seating around the bar to sit, relax, grab a bite or have a cocktail. I kept it simple both nights, requesting a Blanton’s on the rocks. 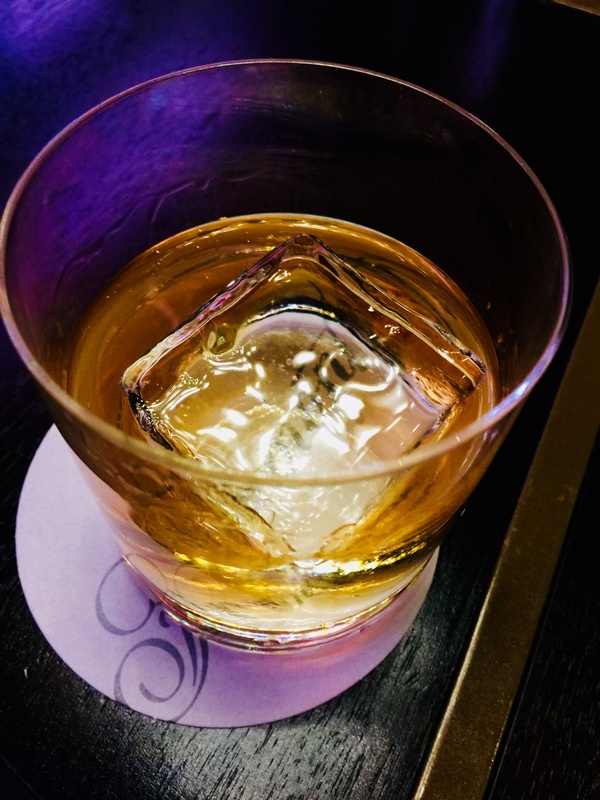 The first night, my drink was properly served in a rocks glass with a nice, large cube…a good pour for the money. The second night, I literally received 1/3 of the drink I got the night before. When I posted my complaint on Twitter, Fairmont Hotels quickly replied, offering me a free drink if I returned. Sadly, I was home by then. All in all, a great trip to Washington DC, with some wonderful experiences and some disappointment. But like with any trip, you’ll always increase your chances for success with a little research!